Welcome to Garden Canyon U Store It of Sierra Vista, AZ! 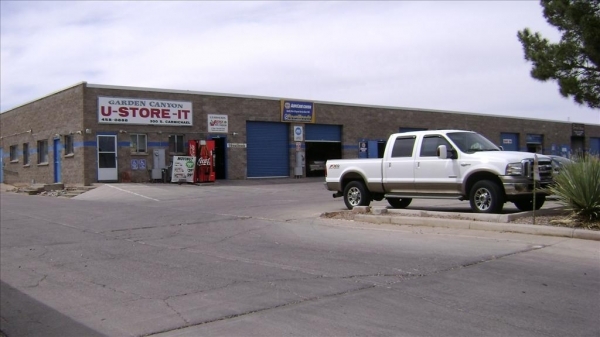 Garden Canyon U Store It is a family owned and operated self storage facility providing indoor and outdoor storage options as well as outdoor vehicle parking. Our units are accessible 24 hours a day for your convenience! 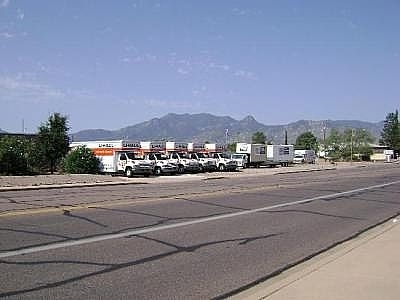 We are located right near the Main Gate of Fort Huachuca. Thank's for the nice review Paula! We value your business. Fast efficient service.Lock provided free of charge. Very pleasant and accomodating staff. Staff was prompt in accomodating all my storage needs at an affordable price. Easy fast and very friendly! I used their services before and i think i would always come back to them...there is always someone available for help and they treat everyone friendly...that is at least how i experienced it and was very happy with it. Thanks for the nice review, Cody. It's a pleasure doing business with you! The attendant was friendly. They give you a cut resistant lock to use. 24hr access. Drive up units. Thanks for your nice review, Richard! Thanks for your nice review, Tracey! Services were incredibly easy to use and staff went above and beyond to accommodate my move in. Clean, safe, secure, easy to access! This facility has the most helpful staff that I have ever experienced. The company is very flexible on move in/out dates and are very easy to work with. I had a great experience w/ both SpareFoot and Garden Canyon U store it. Very easy process. I was in and out (to include paperwork and looking at the unit) in under 30 minutes! Let's face it - there are a lot of storage options here in Sierra Vista and the surrounding areas. I started going through the phone book and by the time I called the third storage place, I was at my wits end. I ended up going online to read some reviews and find pricing information, and that was where I found SpareFoot.com. 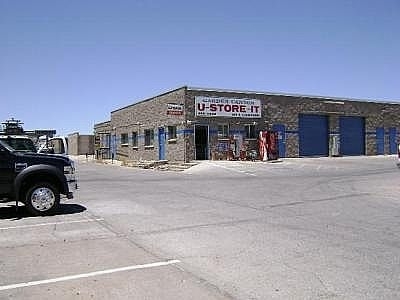 They didn't have ALL of the storage places in the area listed, but it was quick to find the information I needed - everything from size, availability, operating hours to prices. When I went to the facility, I noticed that it was clean, in a good area. The office staff was very friendly and expedient. They even gave me a larger storage until for the price of the smaller one I had reserved! Plus, I received a deal where my 2nd month is free. Can't beat that! Plus, I like the fact that you have 24/7 access, security cameras, a secure, coded gate, the loading area is easy to access and they give you a lock w/ 2 keys. reserved through a service I got online. The cashier called in the morning and had the unit within 8 minutes because the paperwork was in order when I arrived. Affordable because of special running for the next month free. Helpful, professional family run business. Only one in town with 24 hour access. Would highly recommend this facility. This customer paid for 4.5 months and was credited for 5.5 months with the 2nd month free offer. She occupied the unit for almost 5 months and may have moved out 2-3 weeks early. She did not tell the office she was out, so exact move out date is unknown. We require a 30 day notice to move out as stated in the rental contract. She was credited for a free month. And we don't refund partial months rent, also stated in the rental contract. WAS SOOOO NOT HAPPY! I PAID IN ADVANCE FOR SEVERAL MONTHS AND WAS ABLE TO MOVE OUT EARLY - AND THEN I WAS INFORMED THERE WAS NO REFUND! I WILL N E V E R RENT FROM THEM AGAIN! THEY WERE REAL HAPPY TO TAKE MY MONEY BUT SURE AS HELL DIDN'T WANT TO GIVE ANY OF IT BACK. I couldn't pass up the deal two blocks away from Sparefoot Storage. My husband said "That thing cannot fit into our home" I found it fits in a small storage rental space until we find space in our home. Room for the piano and my piano lessons. I am very happy with the expedience of the rental space and security.